The IIHS put the nine pickups through an extensive array of tests meant, among other things, to see if they could avoid potential collisions and, if not, to protect their passengers. 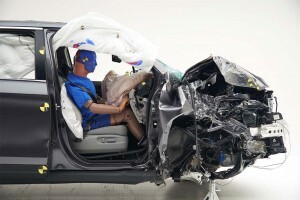 The list included small overlap crash tests meant to simulate what happens when one vehicle strikes another, or an object like a telephone pole, at the corner. The Honda Ridgeline was the only truck to earn an IIHS Top Safety Pick award. The results of the pickup trucks varied widely from one test to another. 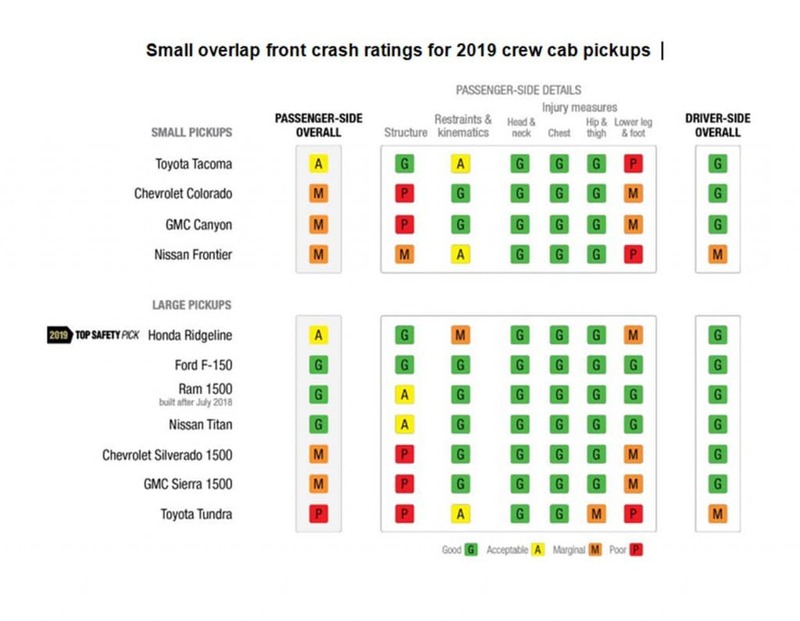 The 2019 Toyota Tacoma, for example, scored an acceptable rating on the small overlap test on its passenger side, but it fell short on headlights and received an acceptable rating overall. Two models, the Ford F-150 and Nissan Titan, ranked highest overall in the new test – and join the Ram 1500 that also was a top performer when tested late last year. 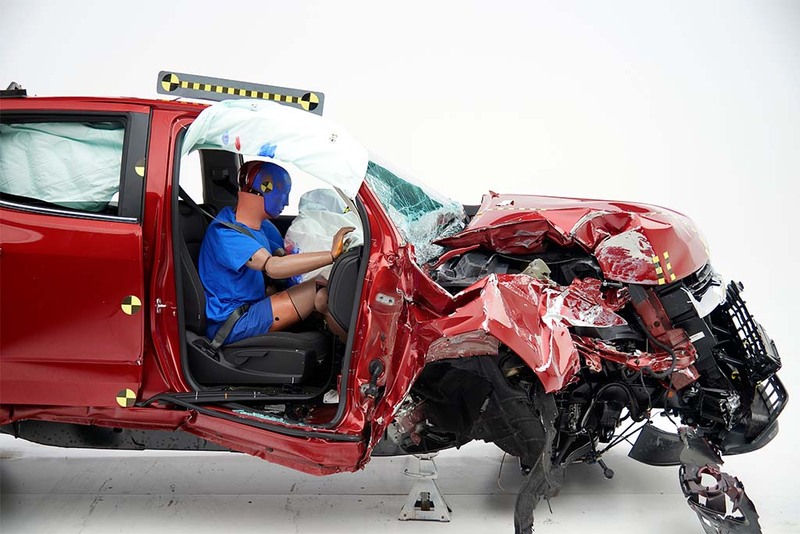 But despite performing well, the Ford and Nissan full-size trucks missed earning the Top Safety Pick award because of disappointing results on the recently added IIHS headlight tests. The safety group has noted that headlights in millions of vehicles don’t deliver enough light or that they are not properly positioned when leaving the factory, problems that can contribute to crashes. Because of its headlights and optional forward collision prevention system, the Ridgeline won the Top Safety Pick award. Versions without those options ranked acceptable. The 2019 Chevrolet Colorado scored poorly, especially in the passenger small overlap test. The Toyota Tundra was the weakest performer, overall, in the new round of pickup crash tests, emerging from the series with a poor rating. In the passenger-side small overlap test, the structure of the vehicle intruded as much as 15 inches into the cabin, three times more than in the crash test of an F-150. The test dummy hit the Tundra’s grab handle and, in a real world situation a passenger likely would have had serious leg and hip injuries. Three other models, the Chevrolet Silverado, Chevrolet Colorado and Nissan Frontier – the oldest model in the group – scored marginal ratings. 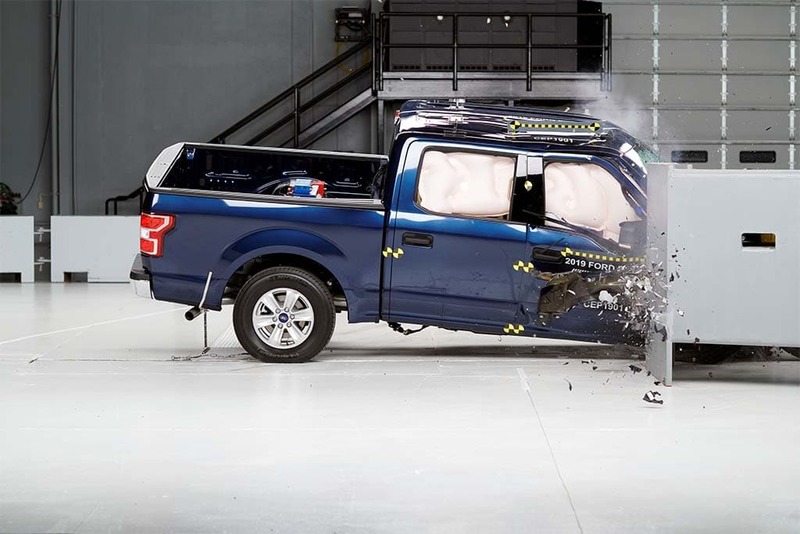 The mixed results in the IIHS pickup crash tests is not entirely surprising, the group said, noting that weight has a lot to do with the severity of a frontal impact. “Pickups took longer than other vehicle categories to meet the Institute’s challenge for driver-side small overlap protection,” the insurance industry trade group noted, “so it’s no surprise that they are lagging a bit in the newer passenger-side evaluation. Today most pickups earn a good rating in the driver-side test. This entry was posted on Thursday, March 21st, 2019 at and is filed under Advocacy Groups, Automakers, Automobiles, Chevrolet, FCA, Ford, GM, Honda, Markets, Nissan, Pickups, Ram, Safety, Semi-autonomous Driving, Technology, Toyota, Traffic Fatalities, U.S./North America. You can follow any responses to this entry through the RSS 2.0 feed. Both comments and pings are currently closed. One would think that since the Ford F-150 scored Good in every category, it would be the recipient of the top award, followed closely by the Ram 1500 and equally rated Nissan Titan. The Top Safety Pick award now requires meeting other standards, including headlights and forward collision warning not just good performance in the crash tests.